BTW – If you’re wondering why I’m always talking about Notebookcheck, here’s the reason. It’s a win-win! Let’s start with the price. $299 for a 4GB Atom X5 Z8500-baed 2-in-1 the 64 GB storage is eye-opening, especially when the performance scores are coming close to the relatively expensive Surface 3 and that option comes without a keyboard! 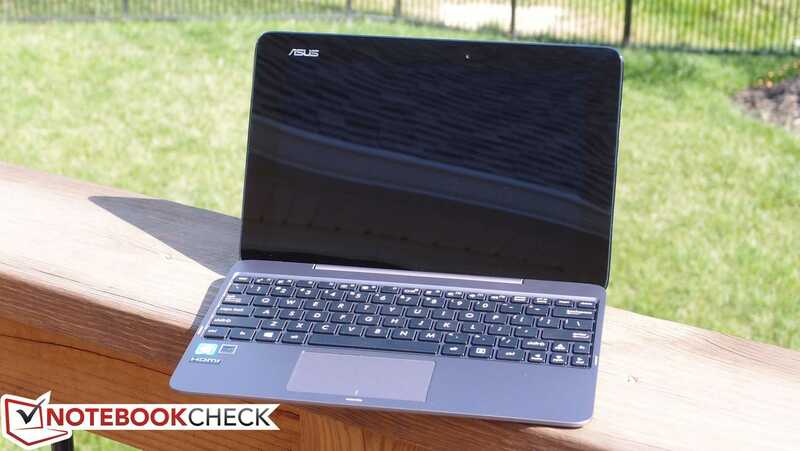 So why is the ASUS Transformer T100HA so cheap? The keyboard, screen and mouse are our starting point for usability and there are some things to consider here. You like 1280 x 800 resolution? It’s an issue. It’s extremely bright, has a reasonable color range and accuracy and great contrast but surely they could have put a Full HD option in. I’d pay $50 more for that. 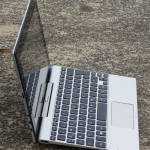 The keyboard is similar to the earlier Transformer Book T100 models in design but there’s one thing to note… “a more notable sense of flex and bounce while typing, accompanied by a hollow rattling sound that is less noticeable but cheaper-sounding than that of the Surface Pro type cover.” The touchpad buttons aren’t high-end either. Next-up on my checklist would be battery life. Check! The battery life figures are good. I recently reviewed an Atom X5-based HP Pro tablet and although its performance was bad due to overheating, the efficiency I saw was good. I’m getting a feeling, as time goes on, that the move to X5 / X7 with Windows 10 is going to bring noticeable efficiency improvements. For the performance figures I’m going to direct you over to the full review because it’s worth diving down into the CPU and GPU figures here. 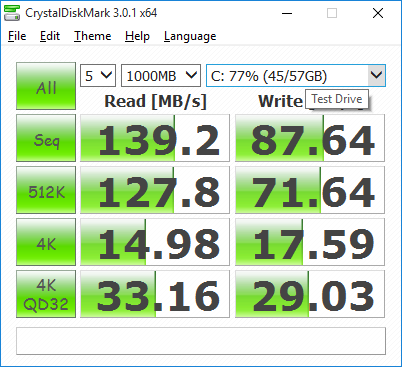 Not the good (not great) eMMC SSD figures and that fact that CPU and GPU performance is starting to overlap some of the lower-end figures I was seeing on the first round of Ultrabooks. 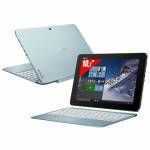 The first Samsung Series 5, for example, wasn’t much more powerful than the Transformer Book T100HA. Memory, Bus, eMMC, connectivity and WiFi play an important role in performance and productivity and we mustn’t forget that advanced ARM processors like the Snapdragon 810 are playing in this arena too now but, just like they did with the original T100 two years ago, it looks like ASUS have an Amazon bestseller on their hands. I hope to get it in my hands soon too although recently I’ve been a little more interested in the Transformer Book TP200 as a grab-PC for home. The limits of Chrome OS (Skype) on the Lenovo N20P are starting to cause productivity issues and I’m a fan of single-unit convertibles. 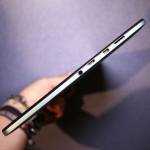 My T100HA hands-on from IFA here. Notebookcheck full review of the ASUS T100HA here. I know some of you have already bought the T100HA so if you’re one of them, let us know how you’re getting on with it. Any surprises? Hi Chippy, thanks for the HP 608 review, is a shame that OEM can design a good 8″ tablet, the thinkpad 8 is really good but it needs a digitizer. I’m rocking a first gen of TP10 with w10 and it’s an awesome piece of hardware but the digitizer is not very accurate I have to recalibrate the pen every couple of days and can’t make the fingerprint reader or NFC work and I was able to use the GPS only once, Argh!!! there’s always compromise. What’s the best way to find your reviews on notebookcheck? I have one of the very first T100s with 2GB RAM and 64GB eMMC storage, and without a doubt the system’s biggest drawback is the cramped, flimsy keyboard/trackpad. I had to do some work emailing the other day on that system, and it only took about three two-paragraph messages to cramp up my left hand. The keyboard is fine for passwords and URLs, but it’s murder for anything longer than a line or two. With that said, I traveled with that system in the summer of 2014, and with a separate (full-size) wireless keyboard/mouse combo, it made for a perfectly serviceable daily driver. The only things I couldn’t do on it were Visual Studio and AAA Steam gaming. For $299 and 4GB, this has a lot to recommend it against an iPad/keyboard combo as far as productivity/internet goes. However, I’m still choosing a Surface Pro as my next machine. 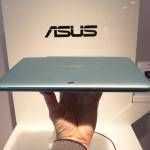 Asus has done a good job in the value market with the T100 series. The midrange market however has not been a slam dunk as both the T100Chi and T300Chi suffered from poor design experiments. I think the detachable 2-in-1 market is bimodal at the moment. With competition focused mostly in the value and premium segments. 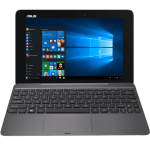 The value market has – Asus T100, Acer Switch 10, HP Pavilion X2. While the premium market holds the Surface Book, Vaio Canvas, Dell XPS 12, etc. The middle segment appears largely devoid of competition with the Acer Switch 11v as one of the few entrants into the $500 – $1000 range. The question is why the neglect of the midrange? I got this tablet a month ago at 200 but I need help…. When charge it while I Youse it just drains like if it weren’t connected. When its asleep it takes about 8hours for a 100 present. It takes about five when I shut down. What I want help in is how do I charge in Youse….. if any of you have ideas please comment…. I got a 4GB ram, and a 64GB storage…..
« Samsung Galaxy Tab S2 overview. A lot has happened in 5 years.